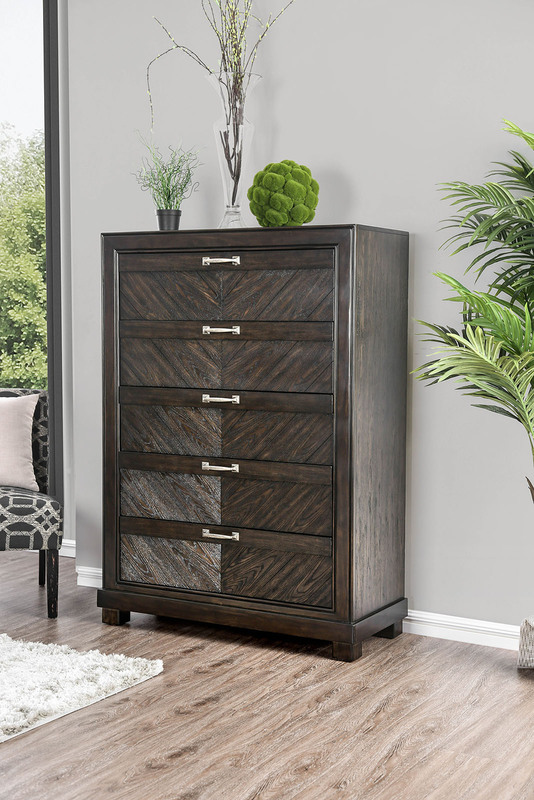 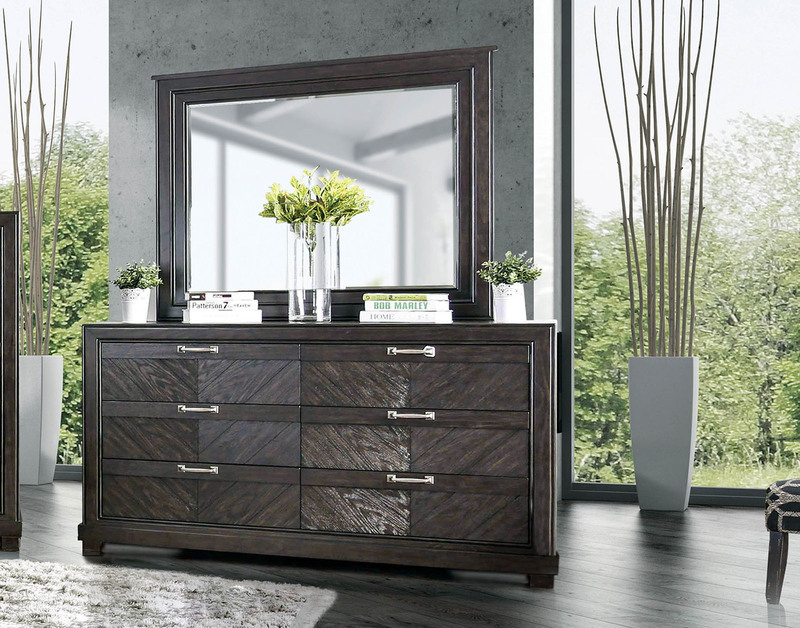 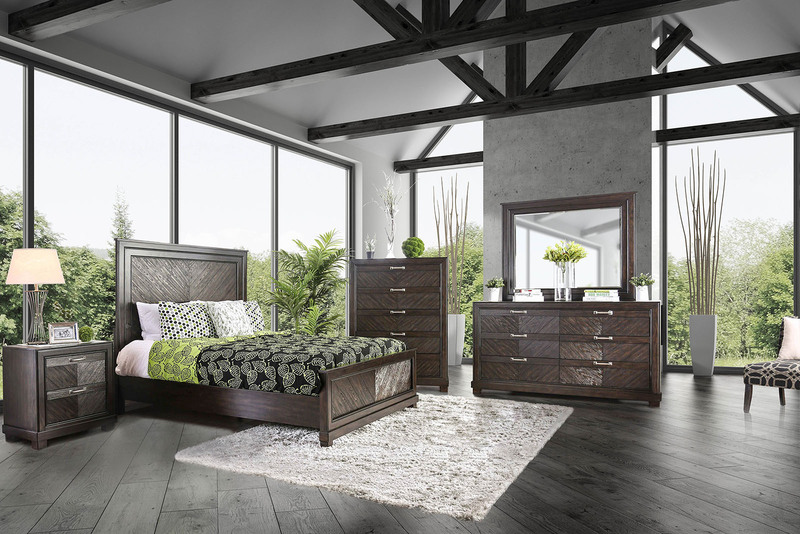 This bedroom set uses V-patterned wood panels to create an elegant display of color and texture.The result is an almost iridescent shine that can give this set a two toned appearance. 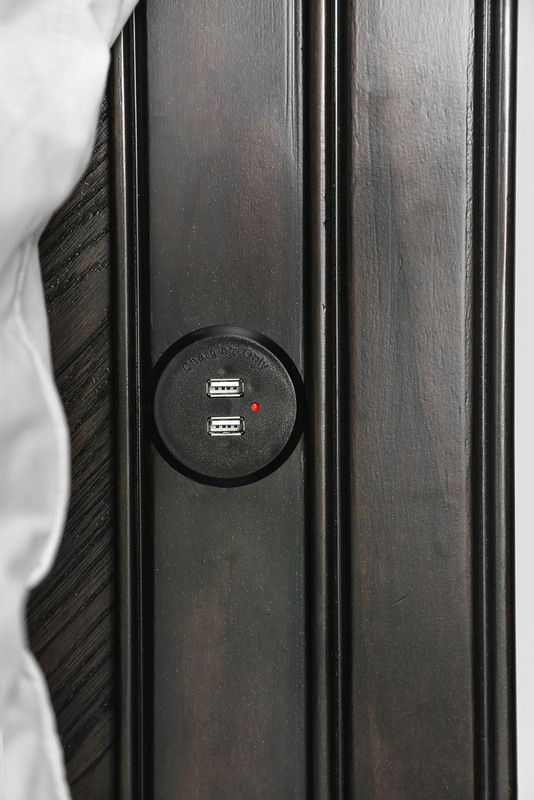 A tall headboard design allows for more wood to show off its luscious quality and holds a hidden internal USB outlet. 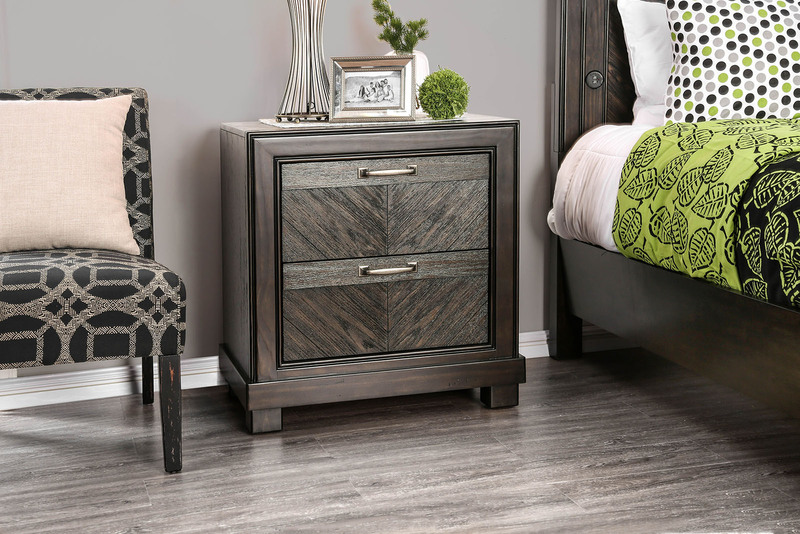 The foot board drawers and matching case good faces have the same V-pattern but use a flat strip along with vibrant nickel hardware to separate individual drawers. 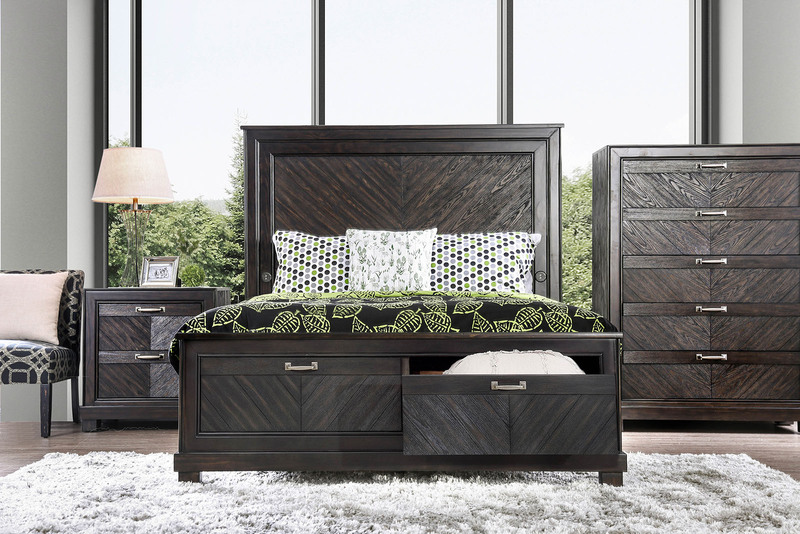 Simple block feet hold up this sophisticated collection filled with rich wooden hues.